Lovely! How nice of him to pose for you. I love the eyes on its wings! 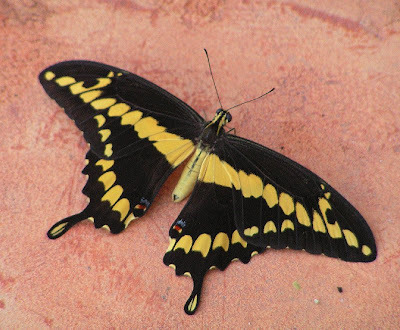 Such striking markings on this butterfly! Maybe it was cool on the pavement? Caite-- Very much so. He flew off not long after this photo was taken.